How do ski chalets compare in different mountain towns? 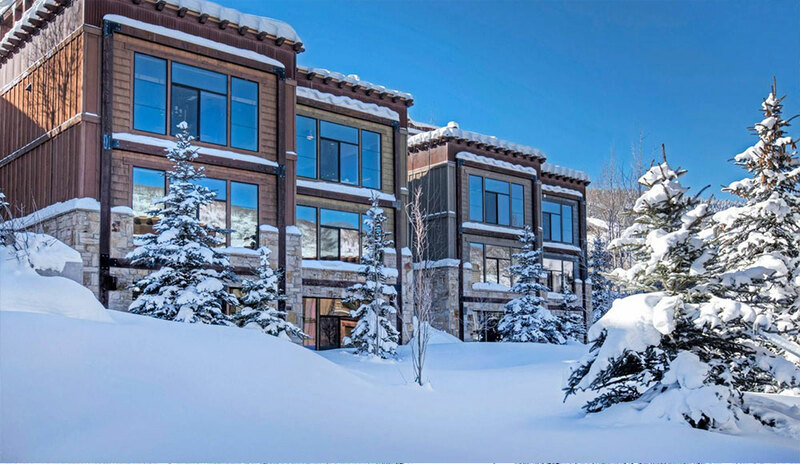 I decided to see what $2M buys you in neighboring ski towns. This search was made very easy by using www.skipropertysir.com, the Sotheby’s International Realty search site for ski properties worldwide. I attempted to compare “like” properties. What did I learn? I thought Sun Valley would be more expensive and Steamboat was surprisingly affordable. I already knew that Park City is a great value and Aspen is off the charts expensive. 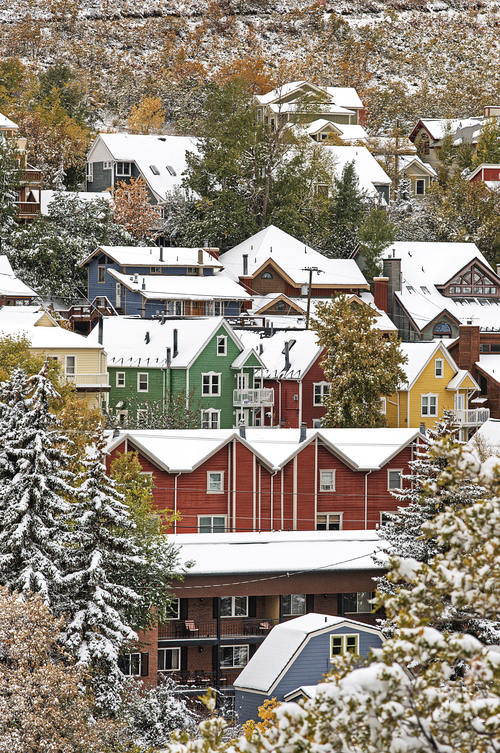 How do you think Park City real estate compares with other ski towns? 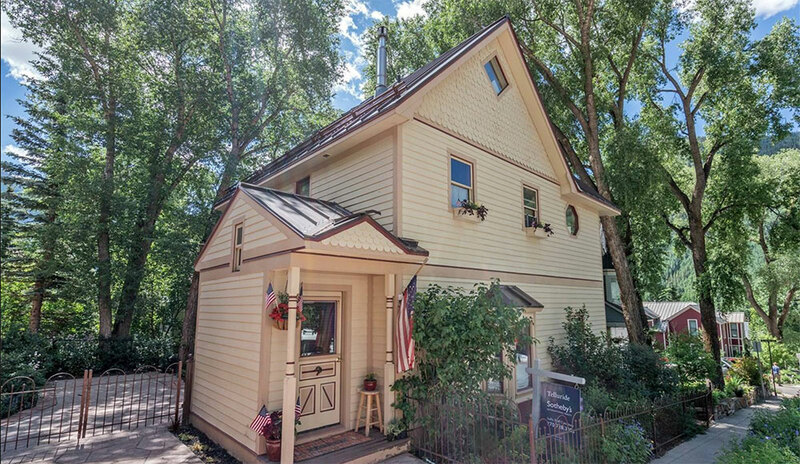 Situated in the coveted residential area of North Oak St. in downtown Telluride, this 4 bedroom, 3 bath home is just a short stroll to downtown shops and restaurants and the gondola to Mountain Village skiing. A renovated kitchen with stainless appliances and granite counters, nice baths with steam shower and jetted tub, a fenced in yard, and views to the ski area and valley set this in-town residence apart from the rest. 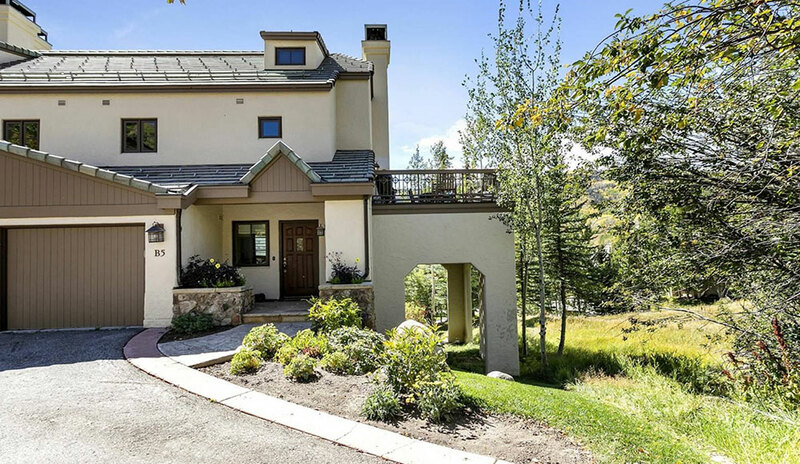 Rare end unit masterpiece with the perfect balance of indoor/outdoor living and sweeping ski mountain views. The moment you step into this impeccably appointed townhome, with its clean and fresh finishes, you will feel at home. This well designed 3-bedroom + den home with ski-in ski-out access, grand living spaces, 350 square foot deck, as well as a garage make this property move-in ready for generations to come. The entire family can relax by the pool or soak in the hot tubs after a day on the slopes. Absolutely stunning half-duplex that lives like a single-family home. 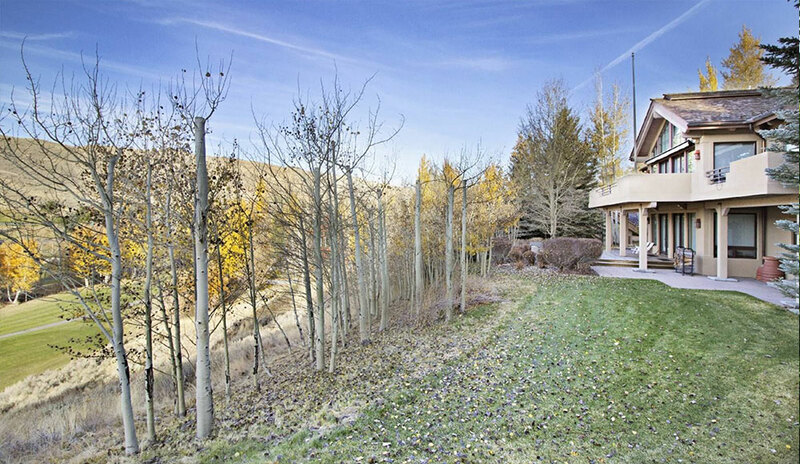 Spectacular views overlooking the South Valley and surrounding mountains. Post and beam construction with high quality finishes featuring four ensuite bedrooms over four levels conveniently connected by a glass ‘period’ elevator adding architectural charm and functionality. Two large master suites, three outdoor living spaces, two laundry rooms, a spectacular kitchen with Viking appliances and custom cabinets, two fireplaces, wide-plank hardwood flooring, two living areas, a hot tub and potential wine room make this a true showplace. This beautiful home is being offered fully furnished and is pre-wired for a/v and security is installed and would work well as either a primary or vacation home. Just a few blocks from the gondola and close to the free city bus. 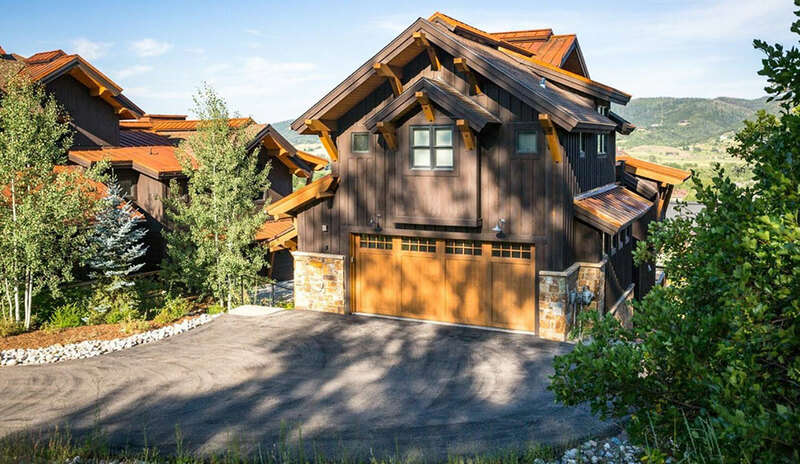 This warm and welcoming 4400 plus square foot, 4-bedroom, 4.5 bath home is perched above the Elkhorn Golf course with sweeping views of the mountains. Reminiscent of a mountain lodge, with beautiful beamed ceilings and grand fireplaces, this stunning home is ideal for family or guests and perfect for entertaining both indoors and out. This thoughtfully designed home is laid out over two levels with kitchen, sitting area, dining room, living room, and master on the main level. Three additional en-suite bedrooms, den and game room are on the level below. Features include 4 fireplaces, cherry creek accent walls, wet bar, gourmet kitchen with center island and buffet bar, breakfast nook, his and her master baths, air conditioning, hot tub, pavered driveway, and private patios. 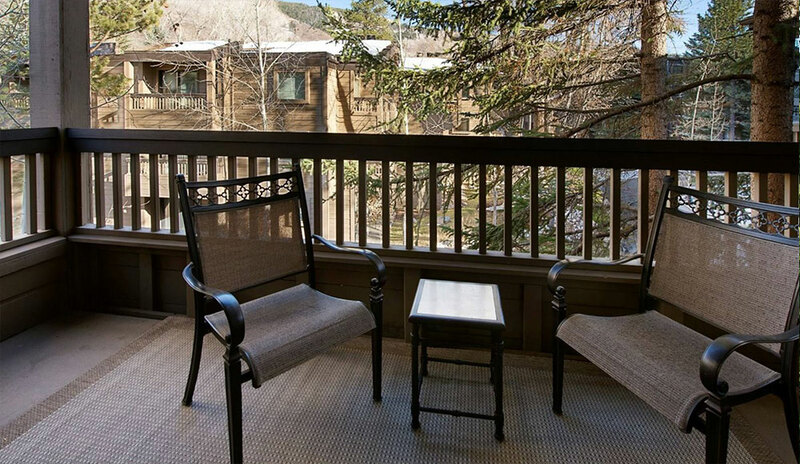 Located close to all that Sun Valley has to offer with hiking, biking and skiing minutes away and use of Elkhorn amenities at your door. Top floor two bedroom two bath condo at The Gant with vaulted living room ceiling and a wood burning fireplace. East facing unit provides great morning light and cool afternoons. Excellent location close to the front lobby, shuttle service, and town. Enjoy all of the amenities The Gant has to offer with two pools, hot tubs, gym, café, tennis courts. Convenient shuttle service to the airport and around town and full time concierge on staff to make sure you enjoy every day in Aspen.